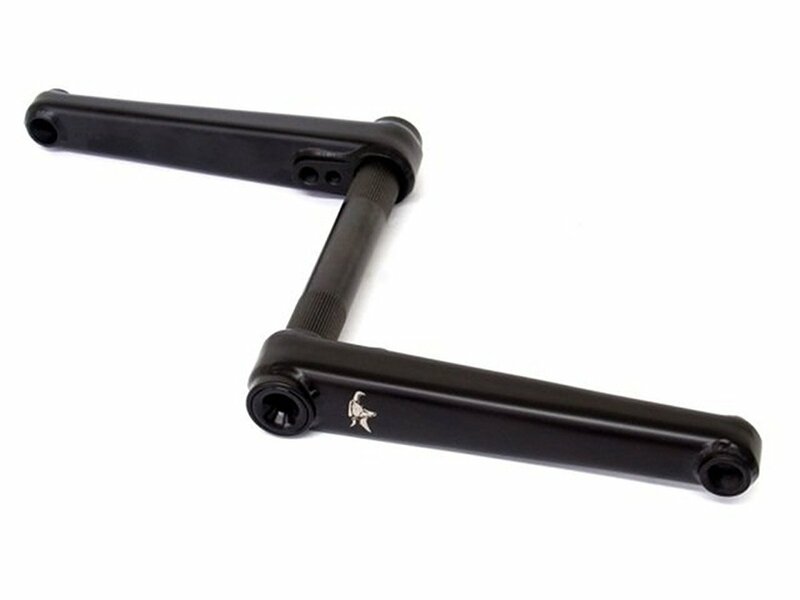 The crank arms of this Animal Bikes "Akimbo" BMX Crank have a rectangular shape with rounded edges and the areas of the axle, and the pedal recording are fully welded around to ensure maximum stability. Sprocket holes for regular, but also small micro drive sprockets on both crank arms offer you here a very stable but also RHD/LHD compatible 3-pc. crank Set. 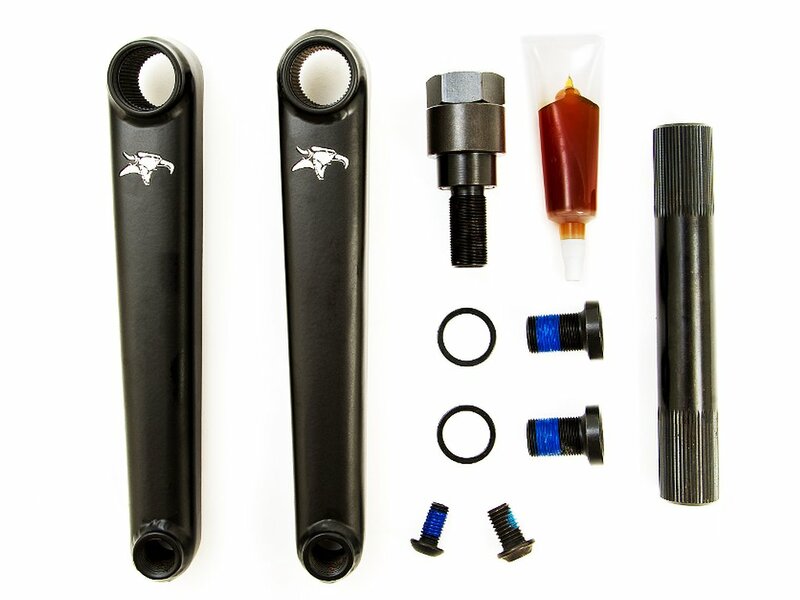 This crank set includes an installation tool.